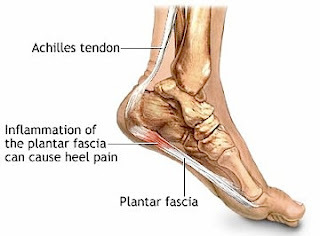 Plantar Fasciitis (PLAN-ter fash-ee-EYE-tus) is a painful foot ailment commonly associated with "heel spurs". The Plantar Fascia is a ligament that spans the bottom of the foot from the inner heel to the metatarsal bones. From a number of possible causes, this ligament can become damaged from small tears, usually at the base of the heel. This ligament can tug against the heel bone causing bone spurs to protrude but, ironically, these really don't cause any pain. At full bloom every step can be painful and, if left untreated, the pain can last for months or years. I don't have a precise cause for my condition but there are a couple of factors that I believe led to it. A few years ago I held a prominent position in IT for a major airline. As a consequence I had many meetings every week in numerous locations all over the sprawling campus. I would sit at my desk working until my meeting, pack up my bulky laptop (10lbs), and make the hike to the meeting place which could sometimes be a 10 minute hustled walk. This is when I first started to notice the pain and as it turns out is a classic result of my behavior. Long periods of rest followed by strenuous exercise, followed by more rest. Wash, rinse, repeat. To make matters worse I walk with my feet pronated, at an outward angle. I had been wearing the rubber soles of my shoes down right at the corners where my heel strikes the ground. That is problem number 2. I was walking around in damaged shoes that wouldn't allow me to walk "correctly" even if I tried to. I also didn't know at the time but I was wearing incorrectly sized shoes. I'm an adult, figured my feet had stopped growing and 10.5 was my size. More problems were in the homestead. My house has a slab foundation with hardwoods installed over most of the common areas of the house: Front entry, kitchen, and dining rooms. Walking barefoot (pronated) basically on hard slab for years help to contribute to ligament damage. I was still running for cardio at this time and wore shoes that poorly supported my feet with soles that were far too thin. I wore casual shoes with the same characteristics. It almost seems like a perfect storm was brewing to leave me with foot pain that would haunt me for years! My pain occurred in the inner corners of both heels right as the base of the foot starts to curve into the heel. My first stop was to my family doc to see if maybe there was a quick fix. I'm a relatively young guy in my late 20's, this can't be a chronic condition right? He pretty much nailed the condition as all the symptoms were dead on and extremely common. He gave me cortisone shots mixed with numbing medicine at the pain sites in both heels. It took several hours for the treatment to take effect and the pain subsided for a couple of days, but most assuredly came back. I decided to find a podiatrist to see what was really going on. During my consult we discussed the pain, the doctor watched me walk, and took x-rays. I had a small spur in my right heel but my left hurt more. She tells me that the spurs are not the source of the pain, this is all from the plantar fascia. She gives me another round of cortisone shots and sends me on my way with a set of icing and stretching instructions. Basically any routine that stretches the calf will benefit the ligament. My daily routines pretty much changed forever after this visit. Walking barefoot is now over, I'm to wear shoes at all times. I'm told to do these stretches a couple of times per day and to use a frozen water bottle on the floor to roll my foot over. I'm also told that I need to start taking anti-inflammatory meds (aspirin). While these things seemed to help mildly, I didn't fully grasp the need for strict adherence and reset my own progress a couple of times unintentionally. I would limit my barefoot treks but still had them occasionally when it was just too burdensome to put on shoes. Bad move. I would skip or hurry through my stretches sometimes when I was in a hurry or tired. Bad move. I didn't know exactly how much aspirin to take and ended up not taking enough. I was simply not progressing. I was sort of following the routines hoping that this thing would just go away but it wasn't. I went back to the podiatrist. More cortisone shots which would be my last as too many of these can actually weaken the ligament to the point where more damage is possible. We start talking about orthotics and the available options. I had tried the shoe store brand of insert which didn't do much. She said that it was definitely a good idea to use something but the cheaper inserts really aren't very good. We talk about custom orthotics which, luckily for me, my insurance company at the time covered. Instead of the $450 list price it would end up costing me a little under $200, straight to deductible of course. Of the "sport" or "dress" options I chose dress thinking that I would be in dress shoes most of the time. The sport variety are a bit thicker to accommodate sport shoes. She takes casted molds of my feet and in a few weeks the orthotics arrive. They are obviously of very high quality and fit perfectly. She says that these should last for 7-8 years and I've worn them ever since. So I've exhausted my cortisone shots, I'm stretching, using ice, wearing custom orthotics, and I'm still not getting better. She recommends that I start physical therapy twice a week. I'm in pain with every step I take so I'm willing to try anything. My sessions involve numerous exercises meant to strengthen my feet and ankles followed by intense rubs and icing. My therapist tells me that my calves are "tight" which is contributing to my problem. It was here that I discovered the pro-stretch. For a long time I had to use stair steps or walls to get my calf stretch but those methods started to become ineffective for me. The pro-stretch works every time and provides a perfect calf stretch. I felt that I was making good progress in PT and my approved number of sessions eventually came to an end. I figured that I had finally boarded the recovery train so started to phase back in my prior activities like walking around the house barefoot. PF recovery can be a VERY long process not to be rushed lest you undo any healing you might have had. This is exactly what I did. Before long I was in pain again wondering what to do and where I had gone wrong. Back to the doc. At this point I had 2 options remaining: surgery (PF release) or ESWT (Electronic Shock Wave Therapy). I did a lot of research about both and was frankly scared to death of both. Surgery looked to be a painful solution with an incredibly long recovery (up to a year!). Not only that I was reading forum threads of people who had PF come back after surgery! My physical therapist said that he had seen patients post surgery for the same problems. I honestly didn't know how I would be able to commute to work in crutches for weeks and weeks since I drive manuals. ESWT is far less invasive with no incisions. It's the same type of technology used to break up kidney stones but it too carries a recovery period and is pretty painful from what I read. I was willing to pursue the ESWT but my foot doc dropped the ball and never got me set up, even after reminders. Just as well... It was during this time that I tried acupuncture which had absolutely zero effect. I thought that I might just have to endure this thing forever. It really is just as well that the surgery options never came through because on my own I've come up with a solution that, I believe, has put me on the true path to recovery. I don't do impact cardio anymore so no more running. I don't do squats, leg presses or calf raises in the gym anymore. My leg workout consists of elliptical machines exclusively. Walking on the treadmill is ok too. No running. I stretch morning and night with my pro-stretch for a count of 30 on each foot. Normally it's not good to stretch cold muscles but this condition creates an exception. I took 324mg of baby aspirin daily for over a year. While it did help with my feet, my stomach started getting weaker. I was incredibly prone to heartburn and was eating tums like candy depending on the meal or time of day. I started scaling back and am off aspirin completely now. I don't feel that I need it anymore for my feet and my tummy is markedly better. I don't walk barefoot EVER!! Something I never fully understood was the importance of proper footwear. I wore my New Balance sneaks around the house for a long time before I discovered Haflinger. These are the most amazing shoes, perfect for around the house, and you don't need to wear orthotics. They have a cork foot bed, much like a Birkenstock, and will form to fit your feet perfectly. 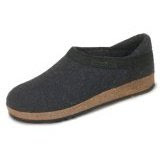 I wear the Haflinger grizzly closed-heel which fit like a regular shoe; the regular clog style didn't work for me. This is fantastic foot wear, I can't recommend them enough. When I'm at home I am in these. 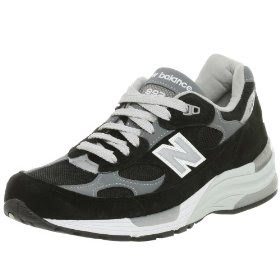 For exercise I wear the New Balance 992 which is built with a solid sole for stability. They are not cheap but are constructed with a PF sufferers needs in mind. Air-pocket or horseshoe ridge soles are no good for this condition. Finding these shoes I also discovered that I should be wearing a size 12 not a 10.5 as I had been accustomed. For my work dress shoes I alternate between pairs of Johnston Murphy and Neil M. I much prefer the styling of the JM's and they fit my orthotics fine. 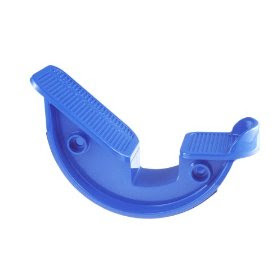 The Neil's have a higher heel cup designed to contain your foot better when wearing orthotics. I had heel taps installed on both pairs to prevent the wearing of the heel corners of the sole. Any cobbler can install these for you cheaply and I highly recommend them. I have suffered with this condition for almost 2.5 years and am the closest to "normal" right now than I have ever been through the duration. It has taken some lifestyle modification for sure but I'm not in pain anymore!! I am able to walk around the bathroom or short stints to the kitchen barefoot with no pain at all. I'm leery of doing this from my past experience but when I did it before it hurt, now it does not. I have no intentions of walking barefoot full time in this house with hardwoods on slab. My next house will hopefully be pier and beam which should be much easier on the feet. There is a good support community out there for sufferers with no shortage of advice. heelspurs.org is a good site even if it is little technologically antiquated. They have a forum and website full of helpful information. The key to fighting this thing is patience. It isn't a fast road to recovery and you have to be willing to adjust your lifestyle to heal. After hurting for a very long time I can definitely tell you that it is worth it especially if it allows you to avoid surgery! I'm still not 100% yet and may never shake some of the new practices I've adopted but I will beat this. And I plan to do it without getting cut. Having torn my plantar fascia, I really have to go after strengthening my hip musculature especially if I want to be running or going on long walks. I can definitely feel the negative effects on my foot when I am not doing my stabilization exercises. It’s nice to have these experiences that I am able to share with patients that help them get a little bit more on board with what I am saying.